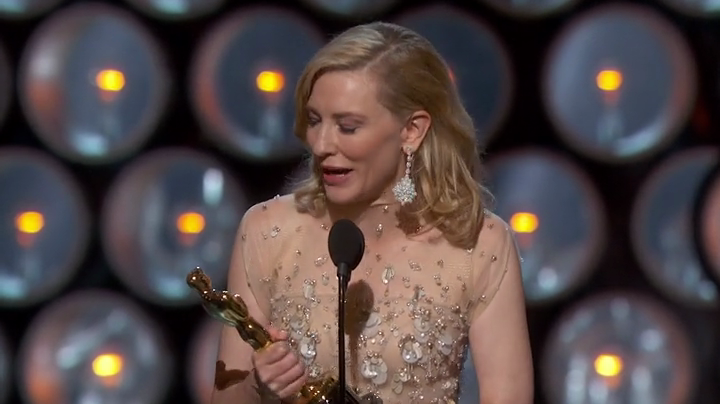 Take a good look at that Best Actress Oscar, Cate! An actor’s career won’t ever be complete if he/she hasn’t had that one film perceived as his/her Oscar vehicle only for the movie to not live up to its expectations and its Oscar chances ultimately ending up in a crash and burn in situation. 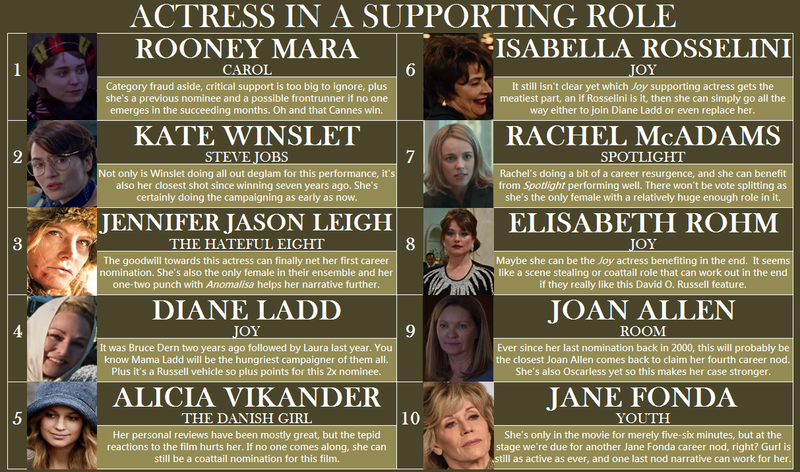 Today, we’d be revisiting the last 15 Oscar Best Actress winners, and while all of them have ended up with Oscar statues in their mantles already (some even more than one, coughMerylcough), these are some films that were perceived to be the one. Then America’s Sweetheart Julia Roberts was unstoppable that year sweeping all televised precursors leading to the Academy Awards for her sassy superstar performances as the title role in Erin Brockovich, and while she obviously “loved it up there” in the podium, her post-Oscar career has mostly focused on doing favored works for her director friends (such as Steven Soderbergh and Ryan Murphy) or actor friends (such as Tom Hanks). However, in 2007, she starred alongside Hanks and the late Philip Seymour Hoffman in Charlie Wilson‘s War as Texas socialite Joanne Herring donned with a big blonde wig and her signature wide grin. While she picked up a Golden Globe nomination for this, her real Oscar comeback came seven years after in August Osage County. After her historic win in 2001, Berry remains to be the only African-American actress who have won the Oscar in a leading performance for Monster’s Ball. However, most of her post-Oscar career has been panned left and right specifically during her turn in Catwoman. While the actress have fared better in television (with her Emmy nominated performance “Their Eyes Were Watching God“), Berry still tried to prove her win was no fluke by starring in different Oscar vehicles such as “Things We Lost in Fire” in 2007. For this list though, nothing is as baity as her attempt for a comeback in 2010’s “Frankie & Alice” where she played a 70s stripper suffering from a dissociative identity disorder. Berry picked up a filler Globe nod for it, but the awards failure performance caused the film to be shelved only to be revived four years later for a theatrical release to the knowledge of… nobody. Winning on her second consecutive nomination, Nicole Kidman was the biggest movie star on the planet during her win as author Virginia Woolf in Best Picture nominee The Hours. And while everyone thought this would be the start of the Academy’s love affair with the Australian actress, the opposite happened with her starring in low-key indie films (Dogville, Birth), flop mainstream attempts (The Stepford Wives, Bewitched), or Oscar baits that simply didn’t materialize (Nine, Australia). That said, her worst Oscar bait flop happened in 2013 when she played another Best Actress Oscar winner Grace Kelly in “Grace of Monaco.” Issues over cuts and versions between screenwriter Arash Amel, director Olivier Dahan, and distributor Harvey Weinstein all contributed to the tragic fate of this film (which as of this writing, has apparently three different versions). While Grace opened the 2014 Cannes Film Festival, it was panned by critics there losing any chance for a theatrical release. 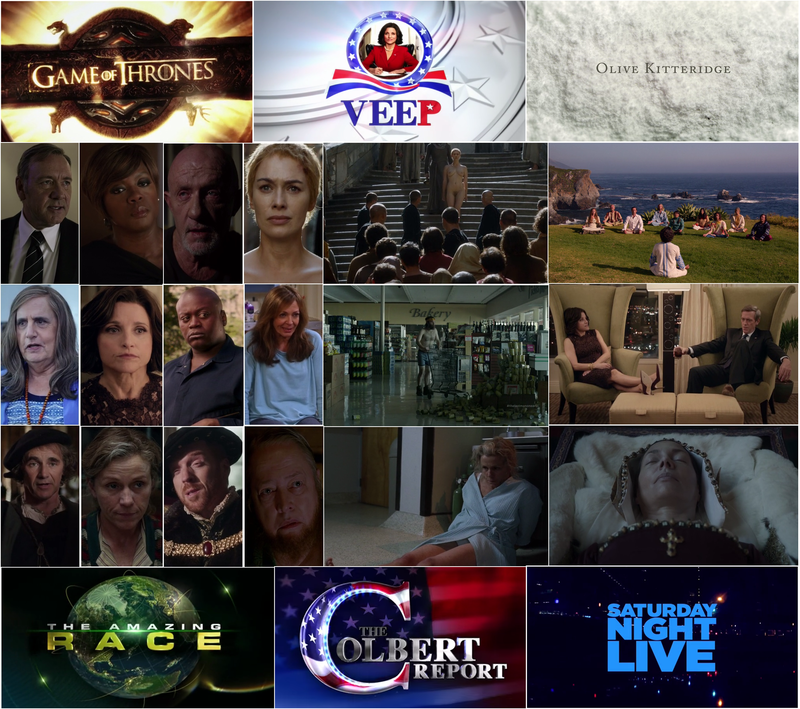 It ended up premiering on TV via Lifetime earlier this year, though that ended up as a blessing in disguise as that decision earned it an nomination for Best Television Movie at the Emmy Awards earlier this month. After her unanimously praised performance of serial killer Aileen Wuornos in Monster, Theron easily received another Oscar nod two years after for the movie North Country. That said, Theron stayed low key with her movie choices tackling supporting roles mostly or really, small films. While her comeback in 2011 for Young Adult didn’t fruit to Oscar nom #3, it can’t be considered an Oscar bait flop considering the nature of the film doesn’t seem like the type that will get its actress nominated. However, after the success of Gone Girl last year and its lead actress Rosamund Pike receiving a nomination for it, studio A24 tried to ride on its success by releasing another Gillian Flynn novel turned to movie “Dark Places” starring Theron as the only survivor of a town massacre. Suffice to say, this was released in limited theaters and VOD killing all its chances to get Theron nominated. Only five years after receiving her first Best Actress Oscar, Hilary Swank easily snatched her second after starring as the female boxer Maggie Fitzgerald in the Best Picture Oscar winner of that year “Million Dollar Baby.” That’s why her third bid for an Oscar nomination (exactly ten years after her first and five years after her second), was for playing the great, late Amelia Earhart in Mira Nair’s 2009 take on the life of the prominent figure. Unlike her first two vehicles though, Swank quite received the flak for portraying yet another character leaning on the masculine strengths for another shot at Oscar. So despite Fox Searchlight handling the campaign for this film, not even that is enough to save this critical and commercial flop. Surprisingly enough, her next Oscar bait came in 2014 for “The Homesman“, but again to no avail. Maybe Hilary decided to plot her Oscar vehicles every time a year ends on 9 or 4 no? Her Oscar-winning role was that of the late country superstar June Carter Cash in “Walk the Line.” In this 2007 thriller however, Reese joined forces with Oscar winners Meryl Streep and Alan Arkin, as well as Oscar nominee Jake Gyllenhaal. Back in 2007, films dealing with the CIA and terrorism have been as baity as one can expect, so Witherspoon’s role as a pregnant woman involved in some terrorism actions seem like a shoo-in Oscar contender. Add the fact that this was Witherspoon’s foray into straight drama territory and this seemed anything but an Oscar flop. Until it was. Luckily for Reese, she managed to come back in the Oscar race earlier this year for her turn as Cheryl Strayed in Wild. Usually when a woman in her sixties win an Oscar, it’s mostly an indirect lifetime achievement award of some sort. But not for Dame Helen Mirren. Since her win for The Queen in 2006, this has led her to receive more leading roles and she has been the go-to British actress even surpassing Dame Judi Dench and Dame Vanessa Redgrave to name a few. She easily picked up an Oscar nod in 2009 for The Last Station, and we’re certain that she came close in 2012 for Hitchcock after receiving Golden Globe, SAG, and BAFTA nominations for it. Mirren is an easy name check for nominations too, as proven by her Golden Globe nomination (yet again) for The Hundred Foot Journey. However, Woman in Gold was a different story. It’s a great feat that the movie earned four times its budget, but with the topic of a Jewish refugee fighting for a painting of her aunt by the Nazis, this is the type of role that can easily skate its actress to awards talk… only that it won’t happen anymore. 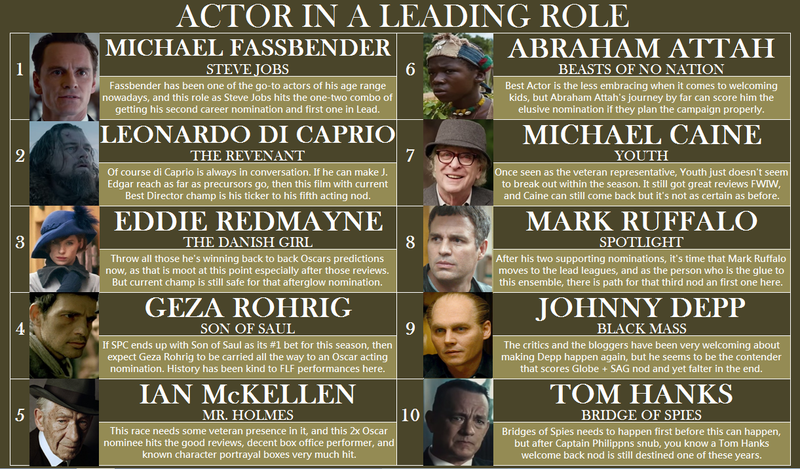 Among all the Oscar flops in this list, The Immigrant is that one film that really doesn’t deserve its placement. It’s a great film and its number of accolades received could certainly prove it. However, after acquiring this film at the 2013 Cannes Film Festival, Harvey Weinstein certainly did not know how to market or simply, what to do with this film and he ended up throwing it to E-One, the smaller right hand company of The Weinsteins which is an indication that they won’t be pushing this film for any awards consideration. But when Cotillard started to pick up steam for her performance in “Two Days, One Night“, Weinstein made a sudden last minute play of giving Cotillard and its cinematography some push hoping it can get her the nomination. Of course it didn’t, and Marion ended up getting that overdue second nomination for her better performance. Sadly, Marion has yet to be nominated for an English performance, and this could have been it had it been handled properly. For quite a period in the late 2000s, Jason Reitman has been the Academy’s catnip. His films have ended p receiving Oscar nominations for Ellen Page in Juno, and George Clooney, Vera Farmiga and Anna Kendrick in Up in the Air with Golden Globe nods for Aaron Eckhart in Thank You for Smoking and Charlize Theron in Young Adult. However, all streaks will come to an end, as Reitman’s one began with the Kate WInslet-starrer Labor Day. Based on the novel by Joyce Maynard, Winslet plays another lonely suburban housewife (as if Little Children and Revolutionary Road weren’t enough) who had an encounter with convict Josh Brolin. The movie was met with horrible reviews, but hand it to the Golden Globes for still name checking Kate Winslet giving her a Best Drama Actress nomination for it. 2009 ended up as the start of a career renaissance for Sandra Bullock. Not only did she star in two movies of that year with grosses combined a 600+ million dollars, she ended up with the Best Actress Oscar for her turn as Leigh Anne Tuohy in The Blind Side. What could have been the pinnacle of an actor’s career only was the beginning for Sandra who followed it up with box office hits like The Heat and Minions or critically backed films like that of Gravity. This year, however, she dons her blonde wig yet again (just like in her Oscar winning performance) to headline David Gordon Green’s “Our Brand is Crisis.” While her awards chances have yet to be determined, you can mostly count her out since the movie received mixed to negative reviews since it premiered at Toronto International Film Festival this year. At least her personal reviews weren’t tragic, but count no Best Actress nomination for her this year. Portman’s road to the Oscar was for her performance as the ballerina in Black Swan, but only a year before that, we saw her closest attempt to follow up her 2004 nomination for “Closer” in Jim Sheridan’s “Brothers“, based on the 2004 Danish film of the same name. As the woman who was left in between the characters of Jake Gyllenhaal and Tobey Maguire, Portman was given the tough position of acting upon two other contemporaries. Sadly for the film, it has gained little to no traction at all that year, mostly for the U2 song “Winter” and a Golden Globe nod for Tobey Maguire. Yes, even Oscar’s favorite actress takes a break from being Oscar nominated. Grunt all you can as Meryl enjoys her 19 career Oscar nominations and three statues at home (her latest for playing Margaret Thatcher in The Iron Lady), but every now and then she takes on flop Oscar vehicles such as this one directed by Robert Redford and had her starring with Tom Cruise. Streep plays liberal TV journalist Janine Roth who thinks the government is using her position to be an instrument of their plans. Here’s another film that tried to combined issues of journalism, terrorism, and war ending up with zero awards traction, rotten reviews, and a disappointing box office performance. After starring in Best Picture nominees Silver Linings Playbook (for which she won her Oscar) and American Hustle, it seemed like the pairing of Bradley Cooper and Jennifer Lawrence is one that seems to have find its footing in the Academy. Their third pairing, however, is from Oscar winning director Susanne Bier from the 2008 novel of the same name. While this costume drama seemed like it would continue the trajectory of both actors getting nominated, too many issues surrounding the film’s release ended up losing all momentum for the movie. It finally was released in the US last March which is enough reason to say that the movie’s intention to get any awards consideration is already killed. At this stage in her career, Cate Blanchett is already infallible with everything she touches is suddenly critic proof. She has reached that stage in her career already where she has the respect and admiration of her peers and critics alike, as proven by her great comeback in 2013 because of Woody Allen’s Blue Jasmine for which she won her second Oscar and her first one in Lead. But before any of those happened, she has been starring in one flop bait after the other in the early 2000s, particularly this Ron Howard film in 2003 entitled “The Missing.” It was Howard’s comeback after winning for “A Beautiful Mind” and starred Oscar winner Tommy Lee Jones. Good for Blanchett though because the year after, she finally natched her first one for “The Aviator.” And the rest, as they say, is history. 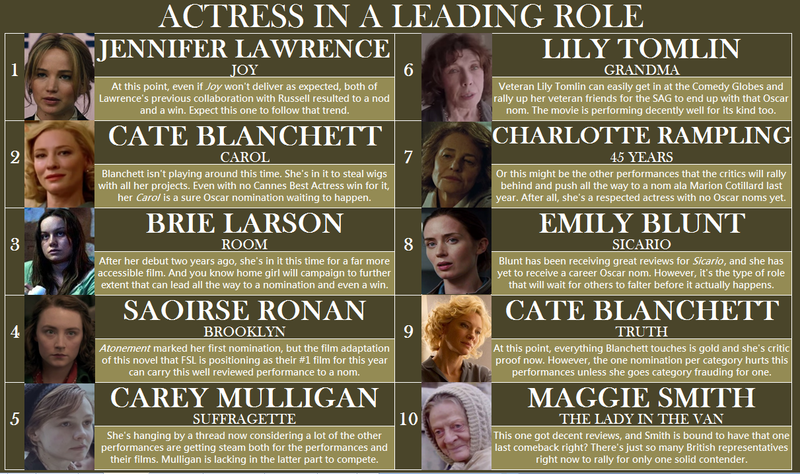 Lastly, we have current Best Actress Julianne Moore. Before winning the Oscar this year for Still Alice, Julianne’s last visit to the Oscars as a nominee was still way back in 2002 when she was double nominated for The Hours (losing to Catherine Zeta-Jones) and Far From Heaven (losing to The Hours co-star Nicole Kidman). While we all have probably thought that Julianne would end up being forgotten (as it’s harder to win an Oscar when you’re in your 50s), she proved it otherwise. The journey to 2014 was a long wait though appearing in Oscar contenders where her co-stars got nominated but not her (such as The Kids Are All Right and A Single Man) or low key Oscar flop baits (The Prize Winner of Defiance Ohio and Savage Grace). What stood out was the one directed by Fernando Meirelles though. As the opener of the 2008 Cannes Film Fest, Blindness was destined to be a real Oscar contender with its great ensemble, and the reputation of the people involved. After all, it was one of the most prominent best selling novels that time, and this was a challenging role. Alas, the bad reviews killed any of its perceived Oscar chances. 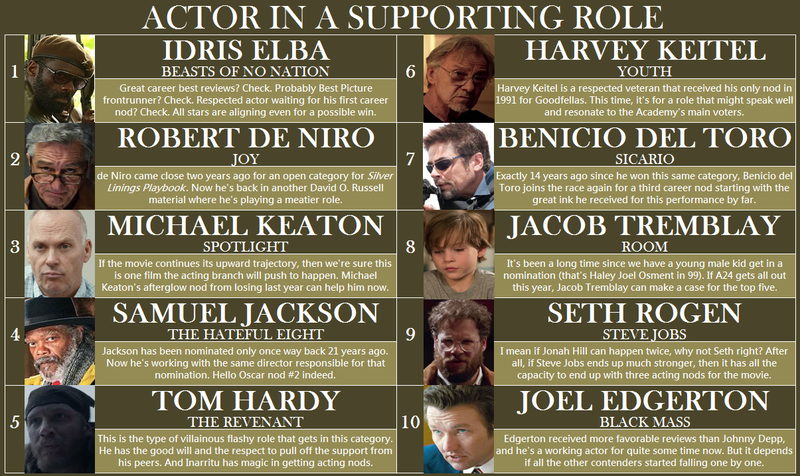 It’s September, and as we kick off the -ber months, it’s start to move back to our monthly Oscar predictions! 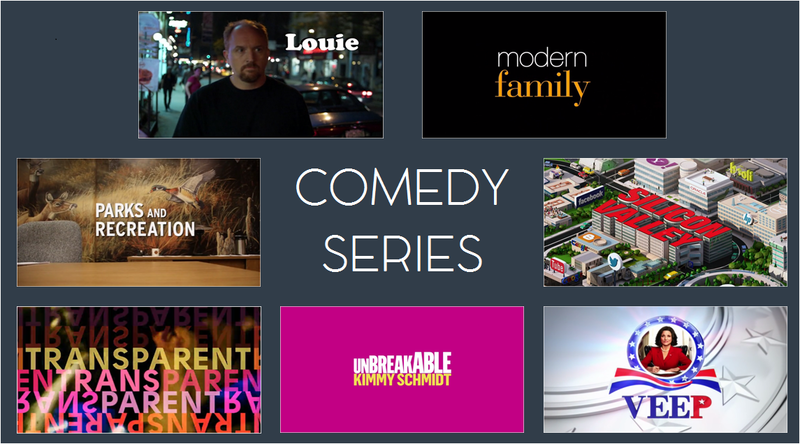 Now that the Emmys have finally concluded, let’s shift the attention to the feature films yet again. 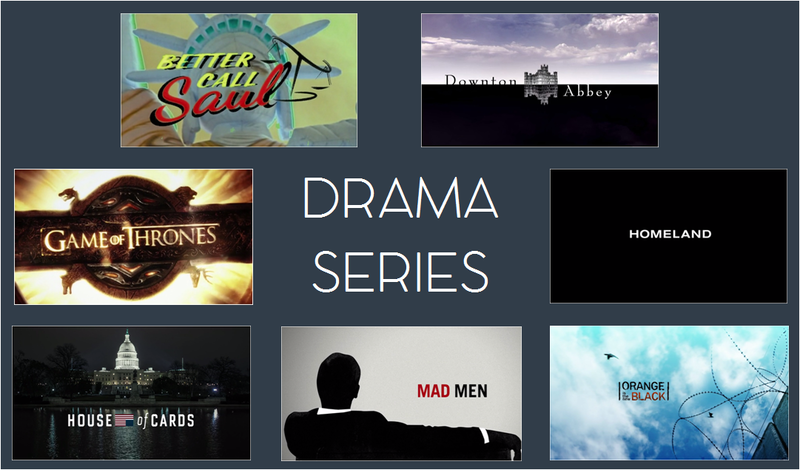 This season has already provided us a lot of questions. 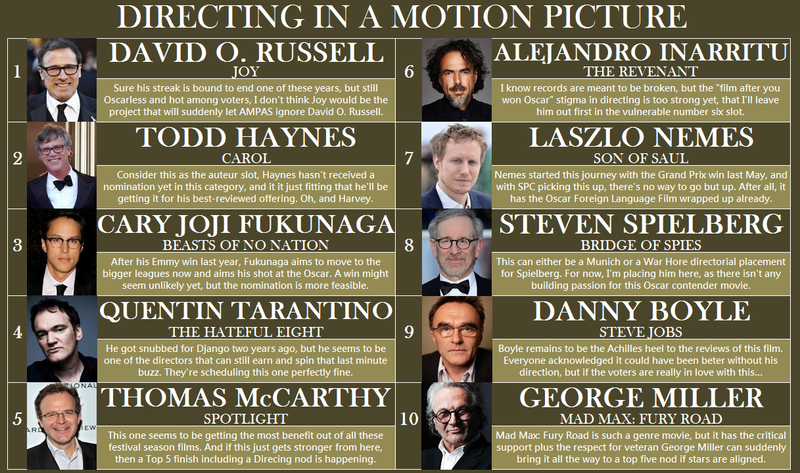 Will David O. Russell go four in a row? Is it Carol or Truth for Blanchett? Will Diane Ladd make follow her ex husband Bruce Dern (nominated last year) and daughter Laura Dern (nominated earlier this year) to comeback Oscar noms? How many children will get in this year? Which category frauds will be tolerated? And is this the thirstiest bunch of campaigners we have (Kate Winslet, Diane Ladd, Eddie Redmayne, Michael Keaton, Brie Larson, Alicia Vikander)? So many questions! It was only a few hours ago when the Film Academy of the Philippines (FAP) announced via its director Leo Martinez that Jerrold Tarog’s film “Heneral Luna“ is the Philippine submission for the 88th Academy Awards. It’s first time for director Tarog whose film tells the tale of underrated Filipino hero Antonio Luna in his quest to lead the country against the Spanish colonizers during Emilio Aguinaldo’s regime. The journey of “Heneral Luna” is really impressive to say the least. The film opened up to decent numbers but the strong word of mouth particularly in social media paved the way for more cinemas to bring it back to more screens. As a matter of fact, its second week opening day was way higher than its initial first day grosses. It has received raves one after the other with critics praising its polished direction, great ensemble headed by John Arcilla in a career-best role and the different treatment it used as compared to the other biopics about our Filipino heroes. Now less than two weeks after it opened, its now the Oscar submission of the country representing it in the world platform against more than 70 countries in the world. It’s also the first time the Philippines submitted a film about one of its heroes in the 27 times that we have sent a bid at the Oscars. It’s a bittersweet feeling for everyone in the film involved as well as its fans, and the announcement of it as the country’s submission was met with such enthusiasm and clamor. But now, let’s talk about the real deal. How will it fare at the Oscar race this year? Just like how I predicted that both “Bwakaw“ and “Transit” aren’t going anywhere or that “Norte, Hangganan ng Kasaysayan“ can count a top nine inclusion at most, it’s time to analyze Heneral Luna‘s chances. When I wrote about my usual Oscar submission analysis and recommendations a month ago, I specified how this is a year when we’re lacking that ecstatic contender that can bring us at least that much-awaited Oscar attention. And now a month later, I still think stand with the same sentiment. As for starters, this year shapes up as a stacked group of submissions by far from Oscar-friendlier countries. Portugal went with the Cannes movie “Arabian Nights Part 2″ by Miguel Gomez while Hungary is close to have that Oscar wrapped up already with its entry Laszlo Nemes’ “Son of Saul” which won the Grand Prize Jury earlier this year at Cannes. There’s also “Embrace the Serpent” from Colombia, “The Second Mother” from Brazil, and Un Certain Regard winner “Rams” from Iceland. Among Asian contenders, Hou Hsiao-Hsien’s comeback film “The Assassin” leads the pack. Not only are they miles ahead from Heneral Luna in terms of festival buzz, but they all have US distributors already who will campaign the hell out of them. Maybe Heneral can still hop in a competent enough distributor (FWIW, announcement was only made a few hours ago so it’s not as if they’re already on full gear with their campaign plan). Another thing blocking Heneral Luna‘s way is that its theme isn’t really the Academy’s cup of tea. For Oscar, it’s Holocaust or bust. I’ve read some comments how the portrayal of Americans in the movie would pick up interest among the voters, and that point is pushing it. Antonio Luna, probably as underrated as he is, doesn’t bring the same type of buzz as let’s say if it was a Jose Rizal biopic (which isn’t the film’s fault). The film’s biggest hurdle is that it needs to be seen in order to be voted. It’s really not safe to count on the “plus three” system of the executive system (those that don’t get in the popular vote) especially since it’s reserved for quirky and non-traditional films that aren’t really Academy friendly (think of Dogtooth or An Episode in the Life of an Iron Picker). Heck, even Lav Diaz’ Norte last year didn’t get in the plus three system and that has the Cannes buzz surrounding it. 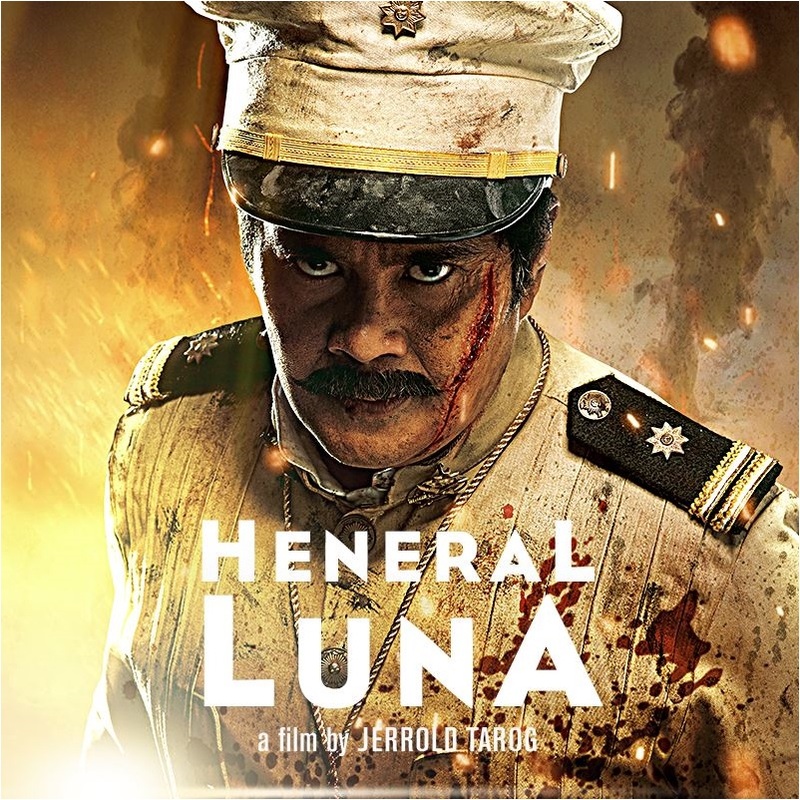 Heneral Luna is a great film — no doubt about that, but all its Oscar talk about it “as our shot at winning an Academy Award” or even that “we have a chance” is setting themselves up for disappointment. And let it be clear that it’s not because of its quality. It’s a well-made film that deserves to be seen by every Filipino. Period. But if we are to talk about the aspect of it being our Academy Award submission, then it’s a different story altogether. If anything, the greatest thing that comes with this announcement (aside from recognition for the team behind the movie) is that it shows that the Filipino audience is willing to show up for quality films. Forget about Oscars, it’s a long shot at best.